Meeta K of What's For Lunch Honey is the host of Daring Bakers this month, and she chose a recipe by Pierre Herme for a dessert close to my own heart - chocolate eclairs. Now these are not just any ordinary chocolate eclairs for, in addition to being Pierre Herme's recipe, these are chocolate on chocolate eclairs, with chocolate pastry cream and a chocolate glaze. We were given the option to substitute one of the chocolate components (pastry cream or glaze) for another option, and I nearly did substitute the chocolate pastry cream altogether for another flavour. However, after reading on the Daring Bakers Forum about how good the chocolate pastry cream was, I decided to make half of the eclairs with the original chocolate pastry cream. I was so glad that I did - it was absolutely devine, and in fact, was my favourite part of these eclairs. I would make this pastry cream again as a filling for other cakes and desserts. I also chose to make the Pierre Herme chocolate glaze, which includes a chocolate sauce that is made separately. The glaze was my least favourite part of the recipe - it turned out rather greasy, and seemed to not want to stick to the choux buns. When I next make eclairs, I would use a ganache or a plain old chocolate glace icing in its place. They are not the prettiest eclairs in the world, but they tasted very good. I really enjoyed this challenge, as I am a fan of chocolate eclairs. Thanks to Meeta K for hosting this month's challenge. You will find the recipe for the eclairs on Meeta's site. For a glimpse at the eclairs from the kitchens of the other Daring Bakers, please check out the Daring Bakers blogroll. Today is Rob's birthday. Rob is my "partner in crime" at work, being the only other lawyer in the company. I am privy to inside information that Rob likes coconut roughs (pieces of chocolate mixed with coconut), and the gooey fruity flavours in Cadbury Snack chocolate. Accordingly, my ideas for a birthday cake for Rob were born of this knowledge. I had Loretta Sartori's great recipe for a flourless chocolate cake from my Baking Essentials class that I thought I could use as a base for a coconut rough cake, and throw in some coconut to imitate a coconut rough. I tied in the Snack chocolate as decorations on top of the cake. The overall effect is not as elegant as I might have liked because (a) I was a bad ganache maker, and overboiled my cream while I was chopping my chocolate, leading to a very thick, fudgy ganache instead of a smooth shiny one; and (b) just when I thought nothing could go wrong, when I removed the decorated cake from the wire rack, I broke it in half! This is where the fudgy ganache came into its own, because I was able to plaster over the damage, and no-one was any the wiser. It just led to a rougher finish on the cake, because the ganache had started to set by the time I started the plaster job. It also meant that once the cake was on the serving dish, I could not move it. It's all about appearances!!!! And it still tasted good - everyone liked this cake. Preheat your oven to 160 degrees Celsius, and grease and line a 26cm cake tin. Melt the butter over a bain marie, then add the choclate and stir through until melted. Add the 150g sugar and the almond meal and cocnut, and stir through. Remove the mixture from the heat, then stir through the egg yolks and coffee. In a separate bowl, whisk the egg whites to the soft peak stage, then whisk through the 50g of sugar until glossy and smooth. Fold the egg whites gently into the chcolate mixture until just combined, then pour the mixture into the prepared cake tin and bake for approximately an hour until cooked through. Remove the cake from the oven and allow it to cool completel in the tin on a wire rack (it is fragile!!). Decorate the cooled cake with your favourite ganache recipe and whatever else takes your fancy. Once the ganache has set, serve and enjoy. It is quite a rich cake, so you will only need small pieces. Taste.com is an Australian web site which sends out a regular email with affordable, easy recipes, taken from a number of Australian food magazines. One of their recent emails contained this recipe for a one-pot lamb curry. I was particularly attracted to it because it contained mostly ingredients that I had to hand, including risoni pasta. The end result is pictured at the top of this post. While this was a pleasant enough dish, it wasn't outstanding, and didn't pack the punch that I would have liked. However, if you have some leftover lamb that you would like to use up, this dish is a good way to do so, as it contains pantry cupboard staples like pasta, canned tomatoes, stock and curry powder. It is also simple and fuss-free to prepare, as it simply involves adding ingredients to a baking dish at three separate intervals over a one hour cooking period, then leaving it to do its own thing. On a totally different subject, this weekend, I attended a cupcake decorating class at the William Angliss Institute of TAFE. Over 2 days, each member in our class of 11 each decorated 24 cupcakes, starting with basic techniques and working up to more difficult designs featuring piped dahlias and roses. Our teacher, Greg Williams, showed the class how to work with fondant, fudge icing, buttercream, ganache and royal icing. The class also made fudge icing from scratch, and learned certain points of cake baking theory. Our base cakes were made for us, and comprised of pre-mix sponge, traditional sponge, orange madeira and chocolate madeira cakes. It was really a fun class. Some things worked better for me than others, and not everything that we did was to my personal taste. However, I learned some great techniques to build on the cake decorating classes that I did earlier in the year. Because some of the techniques were repeated in the cupcake class, I had the opportunity to improve on them and "clicked" on a couple of piping techniques that I didn't quite get earlier. I also was able to use my parchment piping bag skills learned in the cake decorating class to my advantage, as quite a few people had as much trouble as I did in initially learning how to make one - and we needed to make many bags for this class. Hopefully, I will get a chance to practise and build on these techniques for future cake projects. One of my favourite Aussie chefs is Karen Martini, currently of Mr Wolf in St Kilda. She creates great home-style dishes that anyone can enjoy. Karen was a regular writer of food features in The Age Sunday Life magazine until recently, when I understand she took maternity leave. I do miss her recipes, and hope that she comes back when her little one is older. Recently, I made a lovely apple and sultana tea cake from one of Karen's Sunday Life features. If you like fruity cakes, you will love this. The only thing to be careful about is that, because of the high fruit content, the cake is quite fragile when it first comes out of the oven, so allow it to cool in the tin for at least 20 minutes before unmoulding. I was a little hasty, and nearly lost my cake as a result. Preheat your oven to 180 degrees Celsius, and grease a 10 x 28cm loaf tin. Peel, core and dice the apples. Combine the apples in a bowl with the sultanas, lemon juice, cinnamon and brown sugar, and set aside. Process the butter and sugar together in a food processor. Sift the flour and baking powder together, then add to the butter mixture in the food processor and process until smooth. Put half the cake batter into the base of the prepared tin, then top with half of the apple mixture. Pour over the remaining batter, then the remaining apple mixture. Sprinkle the extra brown sugar over the top of the cake, then bake for approximately one hour or until cooked through. Remove the cake from the oven, and cool it in the tin on a wire rack for around 20 minutes before unmoulding onto the wire rack and leaving to cool completely. Cut into generous slices and serve with cream or icecream on the side, or on its own. I am going "home" on holidays to visit my Mum soon, and I am really looking forward to it. As the time gets closer, I think about her a lot. Mum turns 60 this year, so I am taking her for a trip to Perth, where she has never been but often talked about visiting. One of the treats that Mum often made for us as kids was brownies. She obtained the recipe from her friend Gail, and made them often. Mum's brownies are of the cake-like variety rather than fudgy, but they are delicious. There is plenty of debate as to whether or not brownies should contain nuts; these brownies contain walnuts, but can be made just as easily without. They are iced with a simple chocolate glace icing, and when cut into dainty squares, are just perfect with a cup of tea. Preheat your oven to 180 degrees Celsius and grease a 30cm long slice pan. Melt the chocolate and butter together over a bain marie, and set aside. Beat the eggs with an electric mixer until light and fluffy. Beat in the sugar gradually, together wih the vanilla essence. With a spoon, stir in the melted chocolate/butter mixture, then the flour and finally the walnuts until well combined. Pour the batter into the slice pan and distribute evenly, then place into the preheated oven to bake for approximately 20 minutes. Ice while still warm with a simple glace icing (1 tablespoon cocoa powder, icing sugar, water, and a teaspoon of butter). Allow the brownies to cool completely in the tin before slicing into squares. Serve and enjoy! 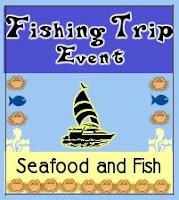 Jeena at Jeena's Kitchen is hosting a Fishing Trip Event. To participate, you have to post about a fish or seafood dish - no other meats are allowed to be included. As luck would have it, I had already decided to make this Thai Fish and Pumpkin Curry by famed chef Jill Dupleix, published on Fairfax Newspaper's Cuisine website. You can follow the link above if you are tempted to make it. In brief, this curry contains fish, pumpkin, chillis, capsicum, kaffir lime leaves, shallots and baby spinach, with a red curry paste (I used Tom Yum). The verdict - I really enjoyed the fusion of flavours in this dish, but would have liked it a tad less hot - I would make it again, but I would tone down the heat a little. (OK, OK, I'm a wimp!) Definitely a keeper. To see all the other great seafood and fish recipes that Jeena has hauled in, visit her site after September 5. I love recipe books that are a little bit different from the norm - they are the kind of book you can curl up with at night to read, even if you never get around to making anything out of them. 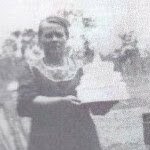 Recently, I read on Anne's Food about In Grandma's Arbor: Five Generations of Breads, Pastries and Cakes. It contains the recipes of one Swedish family, passed down through the generations in waxed oilcloth books, with the oldest recipes dating back to 1852! When I read this, I knew I had to have this book. The fact that it contains Swedish recipes in itself is interesting, but combine that with the historical family twist, I was hooked. I was impressed that it arrived in the mail all the way from Sweden in under a week - Amazon takes much longer. It is only a small book size-wise, but it is packed with 153 pages of photographs and recipes. Each recipe is accompanied by a gorgeous photograph, so you get a feel for what you are making, even if you are unfamiliar with Swedish baked goods (like me!). Some of the recipes are universal, like sponge cake and jam roll, but others are uniquely Swedish, like raspberry caves and Kinuski cake. I chose to make a coffee cake with fudge glazing, which is one of the older recipes in the book. I used a 10 inch springform pan as specified in the recipe, but my cake turned out somewhat flat. Next time, I would use a smaller tin (or perhaps use more baking powder - see below). Despite its comparative flatness, the cake tasted pleasant, being a coffee sponge. However, the super, memorable part about this cake that I would make again was the fudge glazing. It tastes superb! The glaze is very runny, and is quite sticky, but it tastes devine. I think it would be wonderful as a dessert sauce on just about anything. I decorated the cake with hazelnut praline buttercream left over from the Daring Bakers Filbert Gateau challenge, and topped the buttercream swirls with silver cachous. Preheat your oven to 175 degrees celsius, and grease and line a 25cm (~10 inch) springform pan (although I recommend trying a smaller one for a taller cake). Melt the butter in a small saucepan and set aside. Whisk the eggs and sugar together in a small bowl until light and fluffy. In a cup, mix the coffee granules and water together to form a paste, then add this paste and the melted butter to the egg mixture and combine well. Sift the flour and baking powder together in a bowl, then pour into the wet ingredients and fold through until just combined. Pour the batter into the prepared springorm pan, and bake in the preheated oven for about 30 minutes or until cooked through. Remove the cake from the oven and prepare the glaze immediately. Place the butter, sugar, cream, golden syrup, cocoa and coffee granules in a small saucepan and combine well. Bring to the boil on the stovetop over medium heat, and boil for 2 minutes, stirring until the mixture has thickened. Turn the cake out of the tin about 5 minutes after taking it out of the oven, and pour the glaze over the hot cake. Voila! It's pink, it's girly, it has pictures of cakes - what more could a girl want??? Thanks Karen! Our lovely receptionist, Kate, finishes up this week to live in London - half her luck! She is always cheerful and helpful, so I wanted to make her a cake as a good luck parting gift. I also made a second identical cake for the troops (because it is less effort to make two the same ;)). I made no prior preparations as far as buying special ingredients for this project, because I had been house-sitting last weekend and had not done the grocery shopping. Accordingly, my challenge was to make Kate a special cake using whatever ingredients I already had around the house. Recently, I acquired Leslie Mackie's Macrina Bakery & Cafe Cookbook, containing recipes from the Seattle bakery of the same name (and where of course I have never been, living as I do on the other side of the world), and Sky High Irresistable Triple-Layer Cakes by Alisa Huntsman and Peter Wynne, so I naturally turned to these for inspiration. These books are both terrific, although they are very different books. The Macrina Bakery & Cafe Cookbook has very few photographs, and those that are there are small and black and white. However, one glance at the titles of the recipes, and I was sold. There are lots of wonderful sounding sweet and savoury dishes in this book. I chose to make a coconut cake, as I happened to have coconut milk left over from another cooking venture, and this seemed like a perfect way to use it up. However, the raspberries, lemon cream and white chocolate frosting complementing the original version required ingredients beyond the boundaries of my pantry cupboard, so I turned elsewhere for inspiration to fill and decorate the cake. Still on a mission to use up leftovers, I decorated the cake pictured at the top of this post, which was the coconut cake for the troops, with leftover buttercream from my Crabapple Bakeshop Tribute Cupcakes and the canned frosting left over from my Dali-esque sunflower cupcakes. I finished it off with toasted coconut and topped it with a glace cherry, for no reason other than the cake looked weird without its red "belly button". Kate's cake, pictured at the foot of this post, was iced with a simple glace icing, with piping in canned frosting and dotted with store-bought sugar flowers ('cause at midnight , I wasn't making any :)). I only had a very limited quantity of icing sugar, so I only iced the top of the cake. I took an idea for colouring part of the batter with jam and swirling it through the white batter to give a marbled look from a lovely lemon blueberry cake in Sky High Irresistable Triple-Layer Cakes. In my case, I coloured part of the cake batter with a couple of tablespoons of ligonberry jam from Ikea, of all places! This cake was absolutely delicious, despite my fears arising because (a) I'd never made this cake before; and (b) I made it when tired in the middle of the night. It was light, moist and tender, especially in the jammy bits, and the tartness of the curd balanced the sweetness of the cake and frosting. Preheat your oven to 170 degrees Celsius. Grease and line a 9 inch caketin. Toast the coconut by spreading it out evenly on an oven tray, and placing it in the oven for 3 minutes, then stirring it around and placing it back in the oven for another 3 minutes. Remove the coconut from the oven and set aside. Whisk the coconut milk, egg whites, almond and vanilla extract together in a bowl and set aside. Sift together the flour, baking powder and salt, and add the sugar and toasted coconut. Stir until well combined. Cut the butter into small pieces, distribute over the top of the dry ingredients, and mix with an electric mixer on low speed until there is no visible butter and the mixture is crumbly. Add half the coconut milk mixture to the crumble and mix with an electric mixer for 30 seconds, before adding the rest of the coconut milk mixture nd mixing until combined. Cool the cake in the tin on a wire rack for an hour before demoulding and cutting into three equal layers (or, for two cakes, cutting each cake into two layers). I found that the top layer of cake was very fragile, so be careful when cutting and flip the top layer face down onto a piece of parchment paper for easy handling. Blend the sugar and cornflour together in a small saucepan. Add the egg yolks and lemon juice and whisk until the mixture is smooth. Bring the mixture to the boil on the stovetop, whisking all the time, then boil for a minute. Remove the mixture from the heat, and strain into a small bowl. Whisk in the butter and lemon zest, then press cling film against the surface of the curd to stop a skin from forming before placing the curd in the fridge to cool and set (for ~ 1 hour). Spread the bottom layer of the cooled, cut cake with the lemon curd, then cover with the top layer of the cake. Decorate as desired. Dhanggit's gorgeous daughter, Mayumi, turns one soon. To celebrate, Dhanggit is hosting an event called Perfect Party Dishes in her honour. To help Dhanggit and Mayumi celebrate, it's simple - post about your "perfect" sweet or savoury party recipe. Because Mayumi is only one, and will be having lots of little friends at her party, I decided to make Honey Ginger Crunchies, as they are easy to make (Lord knows you don't want to have to slave over a hot stove too long when making party fare), and they can be easily converted to a child-friendly version by leaving out the almonds and ginger (ie Honey Crunchies for the kids!). They are also relatively healthy for party food, and come in teeny tiny serves, so diet-conscious parents can breathe easy. Preheat your oven to 180 degrees Celsius, and line 2 x 12 hole mini muffin trays with paper cases. Combine the cornflakes, almonds and ginger in a bowl. Melt the butter and honey together in a saucepan over the stovetop, and pour over the cornflakes mixture. Stir well to ensure all ingredients are coated with the butter and honey. Put a teaspoonful of mixture into each paper case, and bake in the preheated oven for 10 minutes or until golden. Cool in the pans before serving. For children, you could also substitute the almonds and ginger for dried fruit (eg apricots, figs, raisins). Although these are very simple and won't fill up your party guests, they are a cute, versatile, healthy sweet treat that I think are made for children's parties when varied from the original recipe. You can see the roundup of Perfect Party Dishes here. When I finished turning and resting my pastry, I thought that the logical thing to do with part of it was to make dinner. I dug out Heavenly D'lites by Weight Watchers, and found a recipe for an Old Fashioned Chicken and Corn Pie, which was accompanied by a mouth-watering photograph that was irresistable. The top photo shows the results of my efforts. Put the chicken, water, wine and stock cubes in a fry pan, bring to the boil, then lower the heat and simmer for 15 minutes. Reserve one cup of the stock, and chop up the chicken into 1cm chunks. Preheat your oven to 200 degrees Celsius, and spray a 20cm pie dish with cooking oil spray. Cook the peas and carrots in the microwave for two minutes and drain. Heat the oil in a fry pan, and cook the onion in it until soft, then stir in the flour and cook for a further two minutes. Remove the fry pan from the heat and stir in the evaporated milk and reserved stock. Return the pan to the stove top and cook over a medium heat until the mixture thickens and boils. Stir through the chicken, corn, peas and carrots, and season with salt and pepper to taste, if desired. Pour the chicken mixture into the oiled pie dish, and place the pastry over the top. Seal the edges of the pastry with a fork and trim off the excess. Decorate the top of the pie with pastry shapes, if desired. (I used a rooster sugarcraft cutter for this purpose.) Lightly spray the top of the pie with cooking spray, and bake for 10 minutes before lowering the oven temperature to 180 degrees Celsius and baking the pie for a further 20 minutes, or until golden brown. Remove the cooked pie from the oven and allow to cool slightly before cutting and serving with a side of mashed potato. It was fun to use my puff pastry for things other than those made or demonstrated in class, even though I am eyeing up the Diplomat torte for a future project. As for the rest of the pastry, it's a work in progress as to where it will end up. Happy Love Strawberry is celebrating her birthday, and has asked us to cater for her party with a theme of Whimsical, Weird and Wonderful. This sounds like fun, as I have never previously attempted to make anything with this slant to it. There's nothing like broadening your horizons, I always say. For inspiration, I turned to Hello Cupcake, a book brimming with bright and colourful cupcakes decorated in all kinds of fun shapes and themes, as this book is not about the cakes underneath - it's about the decoration. The book's creations are stated by the authors to be possible with nothing but a ziplock bag, canned frosting and some candies. After a quick flick, I spied the cupcakes that I wanted to make - some absolutely delightful sunflower cupcakes, complete with their own ladybirds. Now, the subtitle to Hello Cupcake is "Playful Creations That Anyone Can Make". Note that it does not say that anyone can make them well - and, um, well, I made the sunflower cupcakes, but they bear only a passing resemblance to the ones in the book. I have dubbed my sunflower cupcakes "Dali-esque", because just like much of Salvador Dali's artwork, my sunflowers are melting into oblivion from their perches atop the cupcakes. Although my piping skills are far from great, in my defence, the canned frosting suggested as the icing base in Hello Cupcake was way too soft to maintain the stiff peaks required for perky sunflower petals. I don't know what brand of frosting the authors used to obtain their beautiful results, but unfortunately, my Betty Crocker canned frosting just wasn't up to the job - it smells and looks wonderful, but it needs a serious dose of Viagra before it is suitable for this kind of job. I also hated piping with a ziplock bag - it's a great technique if you are fresh out of parchment paper and don't have an icing bag, but I was less than excited by the lack of control and precision, so much so that for about three quarters of the cakes, I used parchment piping bags. The other thing to bear in mind when making designs from Hello Cupcake is that while they are meant to be easy (except obviously for a gumby like me), they do not mention that they are meant to be quick - and they ain't. It took me just over three and half hours from start to finish to decorate 24 cupcakes with my Dali-esque creations, and as I did not start until 9pm, it was a long night. If you would like to make these cupcakes, or just have an eye for abstract art, you too can make cupcakes topped with Dali-inspired sunflowers (or, if you use a stiffer icing, sunflowers like the ones in the book) with nothing more than a batch of cupcakes, a box of Oreos, two cans of frosting, some food colouring, a box of smarties and a ziplock bag (or a roll of parchment paper). This is a pretty neat concept - go Hello Cupcake. You were also supposed to use flattened green lollies for the leaves, but Safeway doesn't seem to stock those and I forgot to get them when I was shopping elsewhere, so I just piped on the leaves with more green frosting. Because these cakes are all about the look, I have not reproduced the cupcake recipe that I used here. Needless to say, you can use any cupcake recipe that you like. Hello Cupcake suggests vanilla cupcakes, I made orange cupcakes, but if chocolate devil's food is more your style, you can do that too. Hello Cupcake is a great book for inspiration, but for truly professional looking results, in my view, you need to have a pretty steady piping technique, and to go the hard yards to make your own royal icing or a stiffer buttercream rather than relying on canned frosting. Despite the fact that my sunflowers are seriously wilted, I think they are kinda cute. Whimsical? Yes. Weird? Definitely. Wonderful? Yeah, why not. Happy 18th birthday Happy Love Strawberry!!! PS: You can view the party roundup here. Do visit - it is fantastic! I confess - I am a recipe addict! I have a stash of recipes that I have printed off, eager to make, but despite my best intentions, the pile just grows, and most of them don't ever see the light of day. We won't mention my ever-growing cookbook library, or the 4 food magazines that I subscribe to - details, details! If I didn't have to work to feed this addicition ('cause books and ingredients cost money), and I actually had a use for lots of food, I could quite happily stay home all day every day and browse recipes, cook and blog. Alas, this is not meant to be, but it saves me from being too large to leave the house. In my burgeoning recipe stash, I have had a recipe for Cranberry Lemon Cupcakes from Natashya of Living in the Kitchen with Puppies for quite a while. I also had some leftover dried cranberries and a bowl of lemons from Patsy, so this recipe seemed made for me at that moment. However, this creation was going to be an after work job when I couldn't be bothered doing much late at night - so instead of making Natashya's elegant individual cupcakes, I made the recipe as one very large round cake, and iced it with very un-fancy passionfruit glaze. Although the end result is not as eye-catching as Natashya's cupcakes, it tasted great, and the troops polished it off quickly - which is a good sign indeed. If you like fruity flavours in your cake, and can appreciate the lovely contrast of red jewelled cranberries against a pretty lemon backdrop, you will love these cupcakes - ahem, this cake.